If your loved one has Alzheimer's and you fear for his or her safety due to wandering behavior, Alzheimer's proof electronic door locks may be the best way to keep your loved one safe. Electronic door locks for dementia patients can provide caregivers and family peace of mind that their loved one with dementia will be less likely to wander. 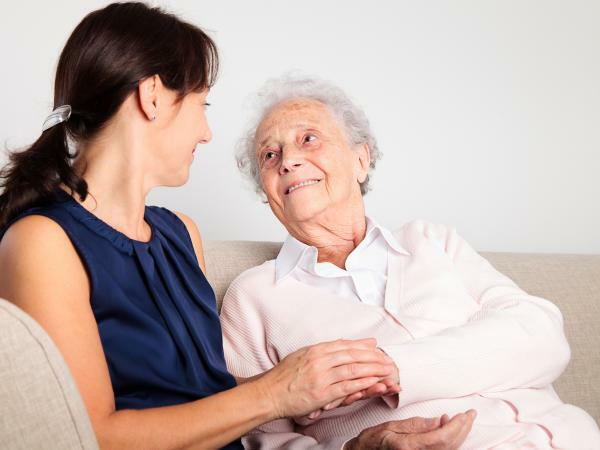 Many elderly people with Alzheimer's have a tendency to wander away from their caregiver. This is because they think they need to do something and end up walking away. The problem is that failed memory issues are common in this disease, which makes it difficult for people to find their way home. This is dangerous, especially in winter when one can freeze to death because they do not find adequate shelter during the night. If found within 24-hours of the disappearance, the chances are good the person will return home safely; however, half of people not found within 24 hours suffer serious injury or death. This is why it is so important to prevent wandering behavior. Electronic door security for dementia patients, including those with Alzheimer's, can prevent this. Electronic Alzheimer's proof door locks are an easy way to keep entryways securely locked during the night or while you are away. Packages usually include a knob and keypad. To unlock, someone needs to know the code you have set on the system. Some systems come with a tampering alarm, which disables it for one minute and sounds an alarm if someone enters the wrong code multiple times. This Kwikset Electronic Lever Lock can be controlled from anywhere with a smartphone or computer. You can even receive notifications when people enter the home. 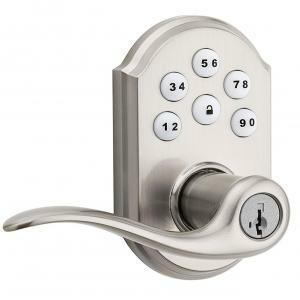 It features 30 programmable entry codes and protects against lock bumping. It is easy to install and comes in a variety of finishes. This electronic lock allows you to access and manage your locks from your smartphone, tablet or PC. This is priced at $190. The 1TouchEvo3 can be found At GoKeyless.com. It can be used indoors or outdoors, it is weather proof and can be installed in 10 minutes on standard doors. It can be unlocked by using a fingerprint, a PIN code or a key. There are two models to choose from, the Audit Trail model which accommodates 36 fingerprint users and 78 PIN users and the High Capacity model which accommodates 75 fingerprint users. The Audit Trail also has a time/date stamp feature to track users, the High Capacity does not. These door locks will automatically lock when the door closes which can give you peace of mind. There are three different finishes to choose from and will match any decor. This price of this lock is $249. The Lockey Electronic Latchbolt Lock with keypad can have up to six unique user codes and one disposable user code. It has an LED illuminated keypad, is weather resistant and has an auto-locking function. It is easy to program, easy to install and is battery powered. The electronic door handle can support up to 5 remote key fobs that are sold separately. You can also temporarily disable user codes if needed. This is priced at around $105. The GPS Tracker Watch System includes the base unit and watch. You place the watch on your family member and set safe zones on the base unit. If the family member moves outside of the safe zone, the receiver gives both an audible and visual signal alerting you that the family member has wandered. There is a monthly service plan required. This price is $249, not including the monthly service plan. The Pocket Finder is made specifically for people with dementia and can help you keep track of your loved one at all times. The device is attached to a key chain, on a belt loop, worn as a necklace or placed in a purse or pocket. You can monitor and track your loved one by creating an account on pocketfinder.com or downloading the free mobile app and you will be alerted if they go too far out of the customized zones you create. It does require a monthly service plan. The price is $159, not including the monthly service plan. The GPS SmartSole is a GPS device that can be worn in your shoes and was designed for anyone who wanders or may become lost. It is discreet and can be inserted in shoes that a senior wears every day. It is much like any other GPS device and uses cellular technology to track the individual. It comes in three different sizes and is water-resistant. There is a monthly service plan required. The price is $299, not including the monthly service plan. By using electronic door locks, you may feel like you are making your loved one a prisoner in his or her own home. Please do not feel this way; what you are doing is protecting your family member from causing danger to him or herself. Many people with Alzheimer's have clouded judgment and can place themselves in dangerous situations. Take care of your loved one the best way you can by ensuring his or her safety.